Blowin' Bubbles is a true world cruising live-aboard boat! Solidly built to gain the Lloyd's of London Rating she is 23000 lbs with 10000 lbs in the 6.8 ft keel. She has proven herself in bad weather time and again. We have sailed her halfway around the world. From the Great Lakes in Canada through the Panama Canal and into the Pacific to its current location in Malaysia near Singapore - and she has done us proud. We are only considering selling due to an onshore accident which has caused health problems. Blowin' Bubbles was completely refitted for this lifestyle for over 2 years, 2011-2013. 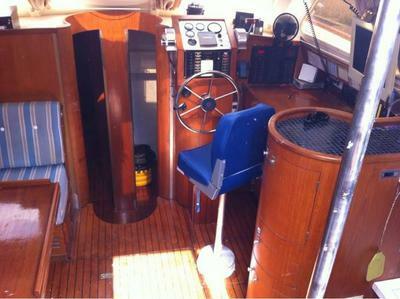 She is solid fiberglass and had the decks redone in the refit. 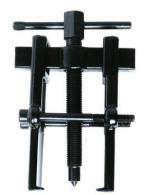 We added an aluminum dodger with tempered glass windows so you never have to worry about replacing a canvas dodger. Also added were a stainless steel rear arch, stainless davit system that operates on an electric winch. There's a hand shower under the outside helm seat to rinse off after swimming or diving. A brand new Lewmar Tigres 1500w windlass was just added March 2019. Ground tackle includes a 85 lb Mantus anchor with 300 ft of G4 chain, a 60 lb Bruce with 30 ft chain and 100 ft rode and a spare Danforth as well. To live off grid there are 400w of solar power and a Superwind, super quiet, wind generator. A 3000w Zantrax invertor. Also an engine driven Watermaker that makes 20 gph. Storage of 900 liters of water and 700 liters of diesel rounds out your ability to live away from marinas. 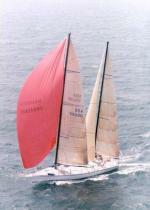 Sails - the main and mizzenmast were new in 2014. 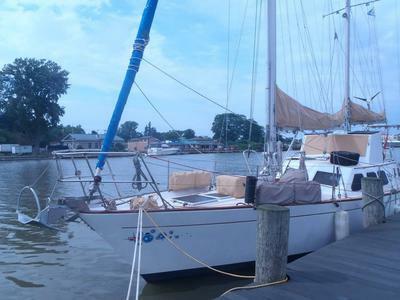 She also has a genoa, asymmetrical and staysail on board. Engine is a Perkins 4-236 with 85 hp that drives a feathering prop with a line cutter. In 2017 a new Hurth transmission was put in along with a new wet exhaust muffler and heat exchanger. The raw water pump was just replaced April 2019. To help get where you are going there is a Raymarine multifunction display outside that can connect to your iPad at the downstairs helm in the pilothouse if the weather gets bad. A Raymarine 40mm digital radar is included. An AU400 autopilot is installed and a complete spare AC42N autopilot is in a box. There are an AIS transceiver, ICOM DSC VHF and SSB that has a KiSS system ground and a pactor modem to help keep in touch. Many things were replaced in the refit. All new plumbing, electrical, new propane gimballed stove, new sink. We reconfigured one of the original 4 berths to a utility room and added a separate full shower area. The original layout in the picture shows 2 bunk bed berths, now there is only one of those. There are 2 heads. 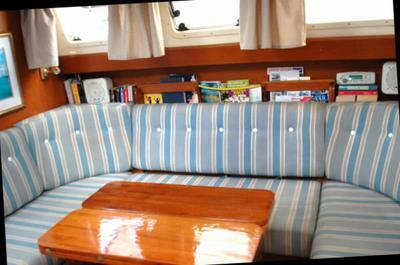 There are currently a master berth, a berth with bunk beds and the table in the settee becomes a large bed as well. Negotiable but not necessarily included, we have a 2000w Honda generator, a 10 ft fiberglass bottom dinghy, a Walker Bay dinghy with brand new sail kit and hypalon tubes, a 15hp Yamaha outboard and a new 2hp Yamaha outboard only used twice. 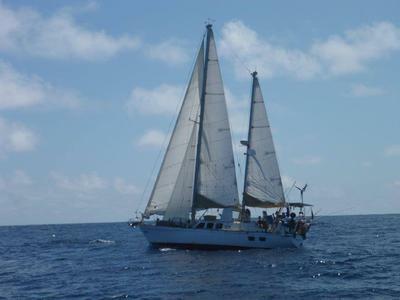 The boat is scheduled for a haulout to antifoul the bottom on 2nd May 2019.